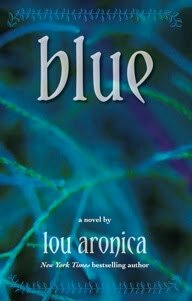 In January, I reviewed a wonderful new book by Lou Aronica called Blue. This is the story of a father and daughter and the fantasy land they created during her bout with leukemia. When circumstances cause them to grow apart, they stop telling their stories. But the fantasy land, Tamarisk, lives on. And one day, their two worlds come together. Lou contacted me this week to let me know the e-book version of Blue is available for FREE from Barnes and Noble and Kobo, and at a much reduced price from Amazon. Click here for links to the different options. I highly recommend you check it out! It's a wonderful story that would appeal to fans of adult contemporary fiction, fantasy and young adult novels. .